My terrace house estate is a Canine theme park offering a 360 Sound Sight Smell experience. Sound- the incessant barking from the crazy toy dog from next door at any moving objects that appear at the front gate. 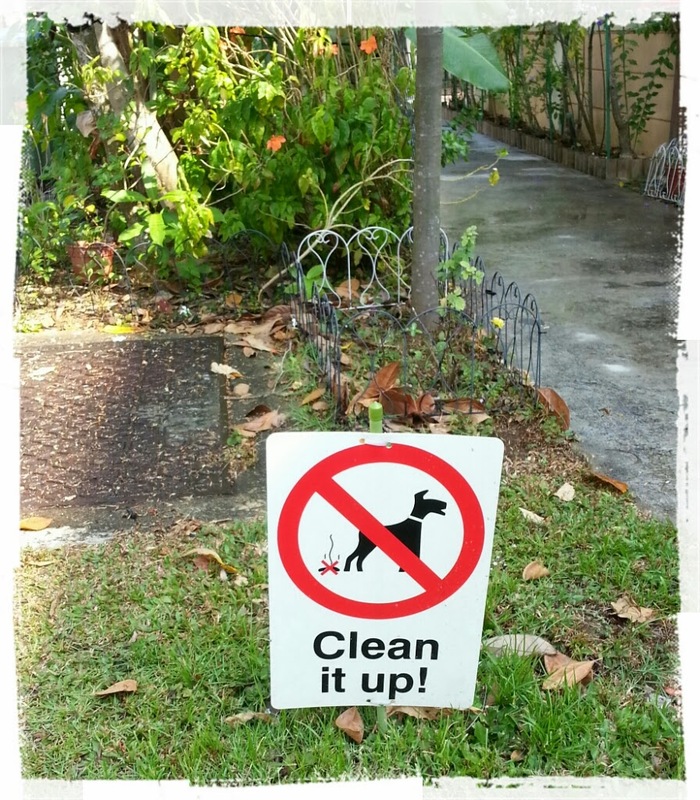 Sight- dog poo landmines left around the estate by irresponsible owners and lazy maids after bringing their dogs out for walks. Smell- the waft of pungent odour from the dirty golden retriever and its kernel from my other nonchalant neighbour. Man's best friend is fast becoming my worst enemy. Someone’s bright idea of instilling 'community spirit’ in my terrace house estate is to keep a free-range rooster which never fails to herald a new day as early as 6am depending on its walkabout route, weekends included. I believe a better way of fostering neighbour bonding is over a meal of either Hainanese Chicken Rice, or Malay Ayam Goreng or Indian Chicken Curry, which I can prepare at 6am this weekend. As I’m slogging like a dog in the office with the days zooming by like dog-years, I should be getting my 20-year Long Service Award next year. However, as most of the time I’m running around like a headless chicken, it is a miracle that I’m not dead by now. Yet having said that, we should all have the ‘never-say-die’ mentality of a cockroach with its ability to survive anywhere. Alas! Whatever it is, I just want to be treated like a human being. Is that too much to ask for? As we galloped into the Year of the Horse, let me wish all to have the sharp senses of a Tiger to spot a Rat a mile away; the breath of a Dragon to scare those lazy Monkeys at work who only know how to eat Snake. Possessing the strength of an Ox coupled with the discipline of a morning Rooster, you will definitely be the top Dog reaping your well-deserved rewards to Pig out at the end of 2014. In the Year of the Horse, stop being a workhorse and let people ride on top of you. Don't hold your horses in 2014 and let your inner warhorse run free. But don't get on your high horse and horse around when it comes to computer security because there are always Trojan horse malware in cyberspace.